Share the gift of health! 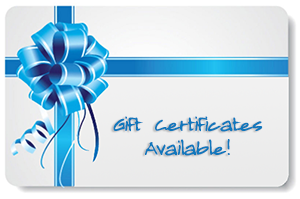 Purchase a gift certificate today! Contact us for pricing, then you can pay securely online and we’ll mail you the gift certificate! All gift certificates expire 6 months from the date of purchase.